For Graf von Faber-Castell, the luxury division of renowned German writing instrument company Faber-Castell, the advent of a new year signifies a new limited-edition pen. The 2014 collection drew creative inspiration from the baroque Catherine Palace located just outside of St. Petersburg. Last September, the palace’s opulent Agate Pavilions were restored under the direction of master craftsman Boris Igdalov, from the precious stone detailing to the dark-red jasper embellishments. 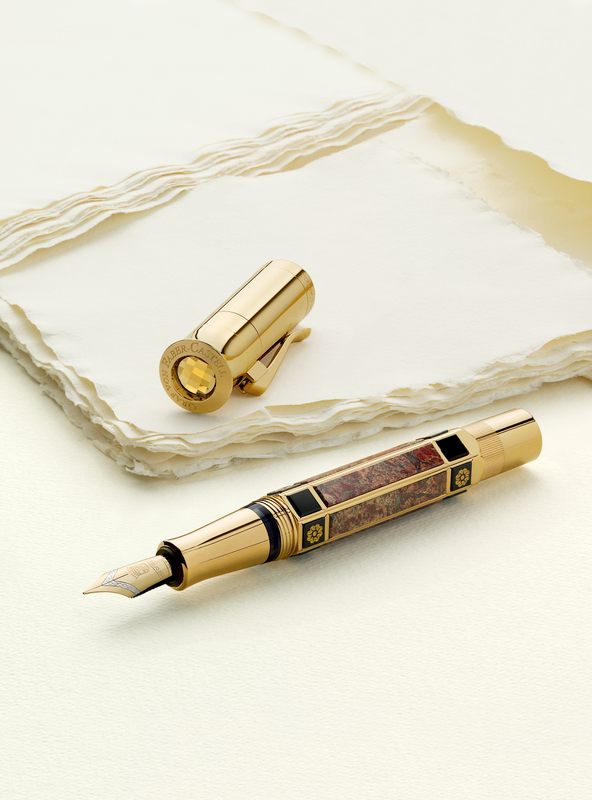 Igdalov was personally involved in this year’s Graf von Faber-Castell design, and the collection includes rollerball editions, a platinum-plated pen, and an exquisite 24-karat gold-plated edition limited to only 150 rare pieces.